See how JustShipIT can help you print invoices with the right amount of VAT! 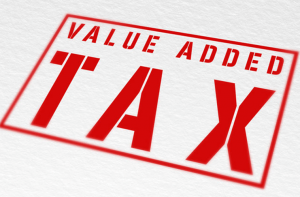 Online sales can be affected by Value Added Tax (VAT), which stands out as one of the most important tax policy innovations out there, spreading to a great majority of countries- more than 160 worldwide. VAT is usually seen as a part or percentage of the total cost of a product. If, let’s say, a product costs $100 and the VAT is 15%, the buyer pays $115 to the seller. The seller will keep $100 for himself and pay $15 to the state as VAT. In order to help reduce the administrative burden on companies and also to help them trade more easily across Europe, there are national VAT registration thresholds set by each country. Why is this important? Well, if a foreign company is selling below those thresholds, that particular company doesn’t need to register for VAT, while if it sells over these limits within the same calendar year, the company is obliged to apply for a VAT number. Once a seller is VAT registered in one EU country, sales delivered from that country to local private buyers or to customers in other EU countries are governed by the EU VAT Distance Selling Rules. As per these rules, the local VAT is charged on any sale made to any consumer within Europe until the set distance selling thresholds are exceeded in any one country. 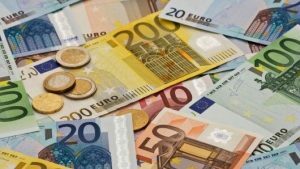 The Distance Selling Rules allow sellers to test the European markets without the large cost of tax compliance. After registration, sellers have to submit VAT returns to the tax authority in the same language and at the same frequency while respecting the specific deadline to that particular country. 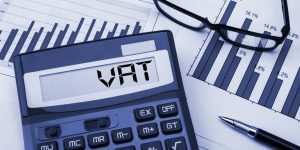 The list of VAT thresholds set for each country in the European Union can be seen here , on the European Commission website. Since the beginning of the year, a large number of non-EU companies selling on the UK marketplace have received messages from Amazon informing them that they need to apply for a VAT registration number to continue selling on the marketplace. Luckily for online sellers using JustShipIT, invoice customization is provided, allowing sellers to include the company’s VAT registration number, meaning that all invoices created with our app will always show the correct VAT for each country – a great example of value proposition in overall external sales. If sellers specify a VAT number within the options, JustShipIT will generate a VAT Invoice. Just ShipIT generates your invoices and labels automatically, saving you a lot of time over the traditional method of manually copying and pasting. Once you have checked the orders, you can print invoices in bulk so this way JustShipIT lets you save time and money – this is just one of the multiple key features of Just Ship IT that can help you streamline your business. Visit our website for more details on how you can integrate your online business with multiple marketplaces by using Just ShipIT.